Perhaps Norwich’s most famous military hero would be Admiral George Albert Converse. Admiral Converse was born in Norwich in 1844 and attended Norwich University. During the Civil War he was appointed Midshipman. Converse is known for his contributions to naval engineering, especially the development of torpedo boats. He was one of the first officers involved in the introduction of electricity aboard ships and was an inspector of torpedo boats at the Naval Torpedo Station in Newport, RI. 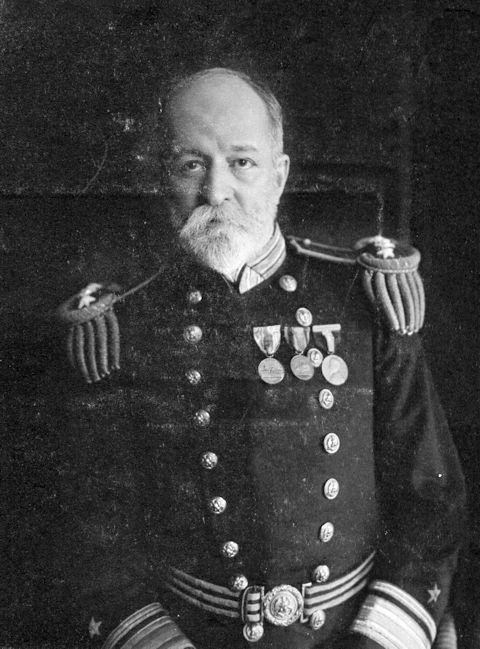 From 1897 through the period of the Spanish-American War he was commander of the USS “Montgomery,” a cruiser of the North Atlantic fleet, and took part in the engagement at San Juan, R.R. on May 12, 1898. The first torpedo boat built for the Navy was the Cushing launched in 1890 in Newport. Admiral Converse and his staff immediately began a series of experiments—here’s one photograph of a torpedo being launched from the Cushing. The torpedoes were launched from the deck of the boat, rather than underwater. 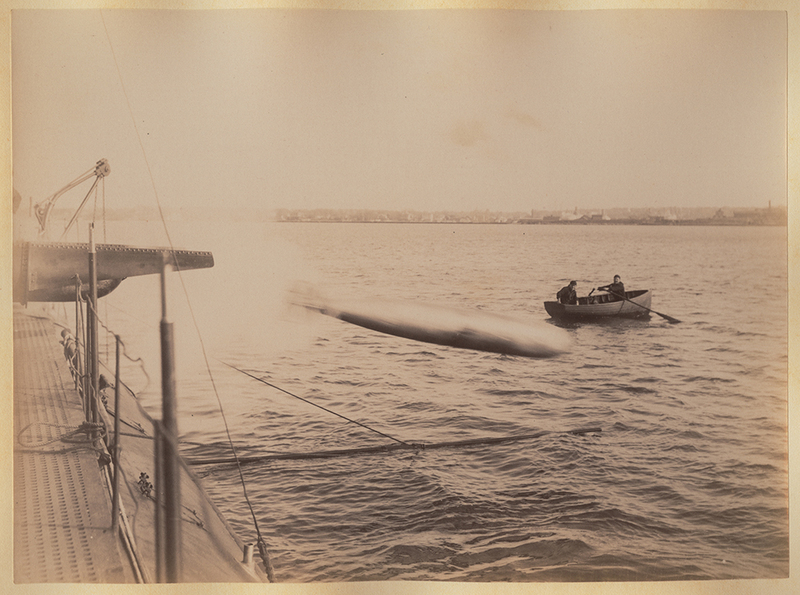 Below is a test torpedo being shot from the docks in Newport. Admiral Converse had a long and distinguished career. When he was home in Norwich, he vacationed in the brick house at 351 Main Street. He died in 1949 and is buried at Arlington National Cemetery. 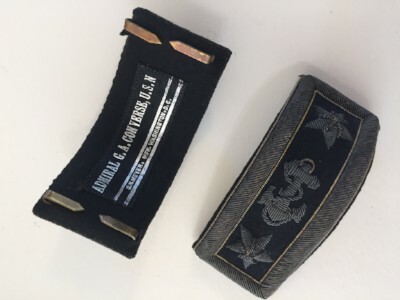 These epaulets remind us that Norwich once had a prestigious military academy at its center. Many students went on to have illustrious careers in the military and were responsible for the early modernization of warfare and weaponry.